As we all know, our gutters are something that we take totally for granted until something goes wrong. When gutters aren’t cleaned or treated, over time they often become clogged and blocked with leaves, moss and other natural or artificial debris which can result in rainwater damage to property. We provide a full service from initial survey to a report indicating work required, to cleaning any blockages and ongoing maintenance. 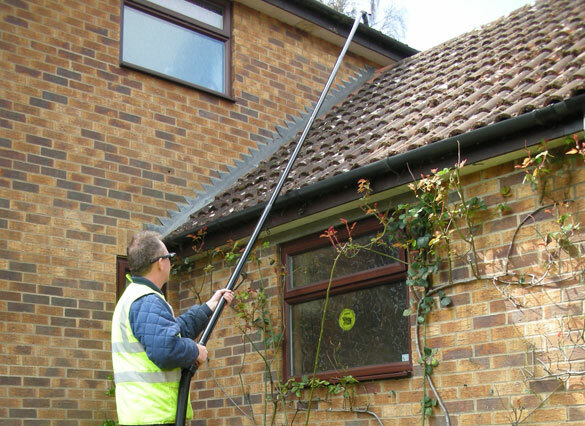 We offer only fixed price gutter cleaning so you know before the job commences exactly how much your guttering will cost to have cleaned. Gutter Cleaning is so important! 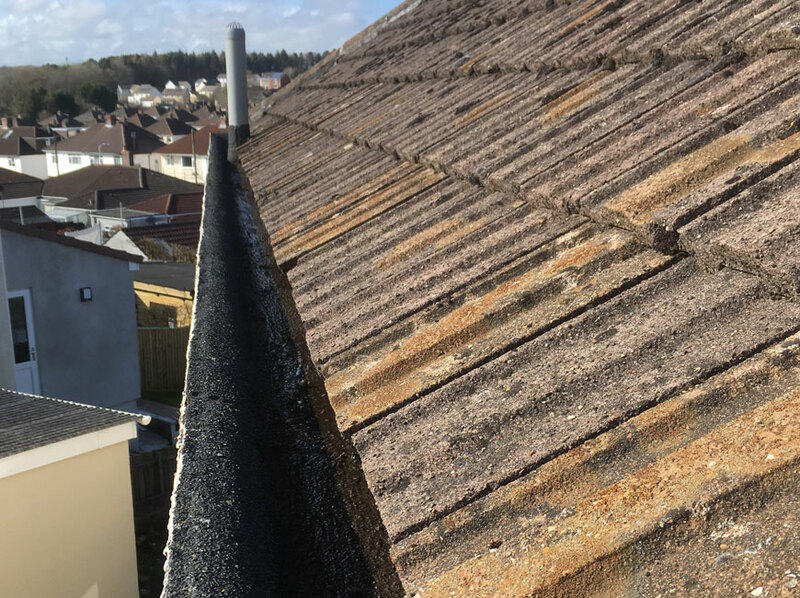 Did you know that blocked, leaking and damaged gutters are one of the biggest contributors to damp effects and penetrating damp in your home. If you see water dripping or even pouring out from your gutters you should act quickly before it starts to cause lasting damage. We all know that as a rule, prevention is better than cure, and rightly so. 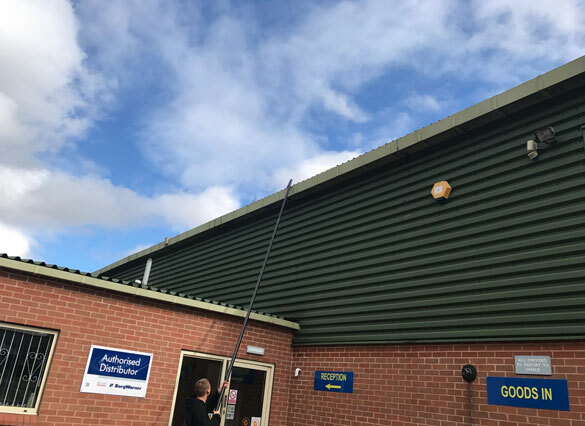 Gutter Cleaning is quick, easy, and considerably cheaper than the cost of repairs that needing new guttering or penetrating damp can cause. Any type of damp in the home can be nasty, it makes your home smell, it ruins the decor of your home, and the damp encourages mould to grow which can lead to a variety of health problems. 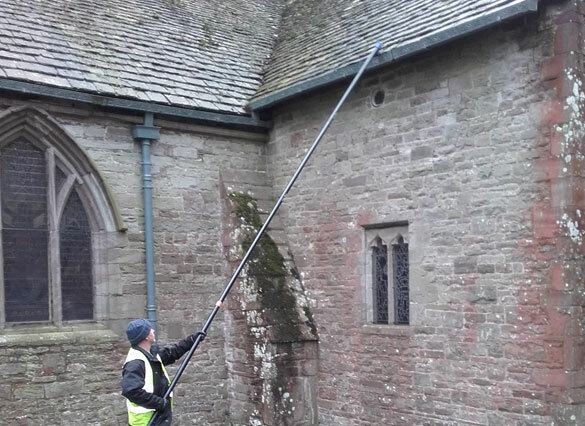 Gutter Cleaning for Home / Residential Property and Commercial, Schools, Churches and Public Buildings, in fact if it's a Gutter, we clean it, call for a free quote or survey.